Our wedge pillows are the perfect accessory when you curl up with a new book. 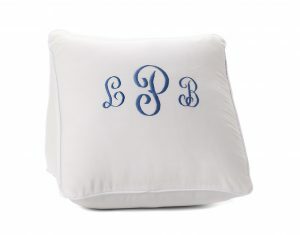 Enjoy these reading pillows anywhere in your home in pique, suedecloth or terry velour covers. 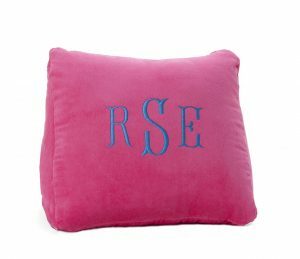 The pillow is 11″ high and 16″ long. 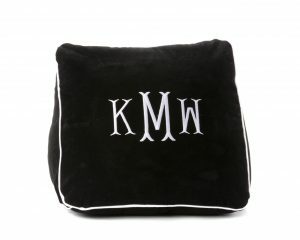 Highlight your own touch of style when you personalize your wedge reading pillow with your initials in your choice of fonts.